Pioneer Works is pleased to present Bosco Sodi’s The Last Day, a site-specific 57-foot-long polyptych. Created with silver pigments and organic materials, the work questions the fast deterioration of our planet and the impermanence of life—one of the essential Buddhist doctrines: all of conditioned existence, without exception, is transient, in a constant state of flux. Bosco Sodi is known for his richly textured, vividly colored large-scale paintings. Sodi has discovered an emotive power within the essential crudeness of the materials that he uses to execute his paintings. Focusing on material exploration, the creative gesture, and the spiritual connection between the artist and his work, Sodi seeks to transcend conceptual barriers. 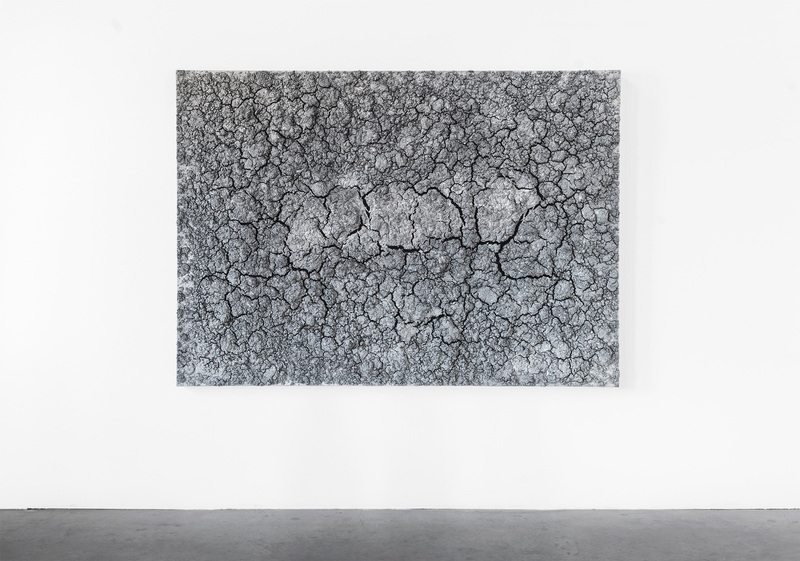 Sodi leaves many of his paintings untitled, with the intention of removing any predisposition or connection beyond the work’s immediate existence. The work itself becomes a memory and a relic symbolic of the artist’s conversation with the raw material that brought the painting into creation. Sodi’s influences range from art informel, looking to artists such as Antoni Tàpies and Jean Dubuffet, to master colorists such as Willem de Kooning, Mark Rothko, and the bright hues of his heritage.